THE work of Pablo Picasso will be used to inspire budding young artists at Woking’s Lightbox Gallery next week. 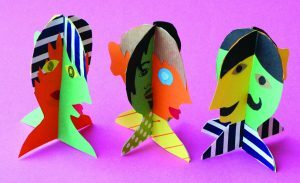 Pottery, painting and sculpture will all feature in a half-term week of arts and craft workshops and activities for children and families will take place, coinciding with the exhibition, Picasso: Paper & Clay. There are events on Tuesday to Friday (29 May to 1 June).